A high court in Islamabad has finally ordered the Pakistani government to initiate criminal proceedings against the CIA over a drone strike that killed the brother and son of journalist Karim Khan back in 2009, his lawyer told RT. Khan first started his legal push in 2010. “Finally, Islamabad high court ordered the Pakistan government to initiate criminal proceedings against CIA officials in Islamabad,” Mirza Shahzad Akbar, Kareem Khan’s lawyer, told RT. The case has taken 6 years to get registered. Now Pakistani authorities, according to the lawyer, are still trying to derail it. “And the latest thing that has happened, is that Islamabad police, after initiating the proceeding, transferred the case to Fata, the tribal area from where he [Khan] comes from. But they ‘forgot’ the fact that there’s no police or investigating authority in the tribal areas. Basically, what they are trying to do is trying to sweep this case under the carpet,” Akbar told RT. The decision to transfer the case investigation has been already protested, and the new hearings in Islamabad high court are scheduled for November. The alleged CIA attack happened on New Year’s Eve 2009. Local media reported it as a “mistake” of US forces targeting a high-ranking Taliban commander. “I come to your house and inside your house I kill your brother, your sister, your mother, or your father, or your little innocent children. What will be in your heart? Won’t there be hate?” Karim Khan told Al Jazeera. There were reportedly no Taliban commanders present at the site, and Karim Khan’s brother and son were the only people killed by the drone. His brother, Asif Iqbal, was a local school teacher with a Master’s degree in modern languages, while his son, Zahinullah, was a 10th grade student. According to Khan, his relatives had no ties to any terrorist groups. The US ‘drone war’ in Pakistan began in 2004 under the administration of George W. Bush. The scale of strikes has grown rapidly under the Obama administration – during the first two years there was a drone strike every four days, compared with a strike about once every 40 days during the Bush era. The use of drones in Pakistan reached its peak in 2010. 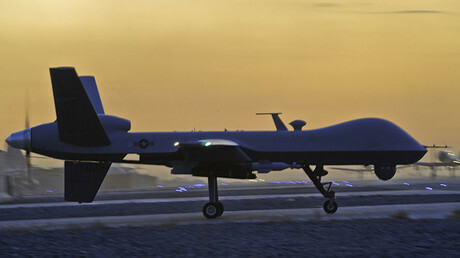 Growing criticism of the program forced the US administration to revise its approach to drone strikes. In 2013 President Obama announced a new policy requiring “near certainty” that civilians would not be harmed. Reduced US military and CIA presence in Afghanistan, reduced presence of Al-Qaeda in Pakistan, and the decreased role of the CIA in execution of the strikes led to a decline in the number of attacks and victims. In 2014 the targeted killing program was described as “basically over,” but strikes continue to be carried out on an infrequent basis. In the wake of the US Senate overriding President Obama’s veto on the Justice Against Sponsors of Terrorism Act (JASTA) – effectively allowing the families of the victims of the 9/11 terrorist attacks to sue Saudi Arabia – some have already expressed fears that the law could lead other governments to allow their courts to exercise jurisdiction over the US, including in cases involving American drone strikes. 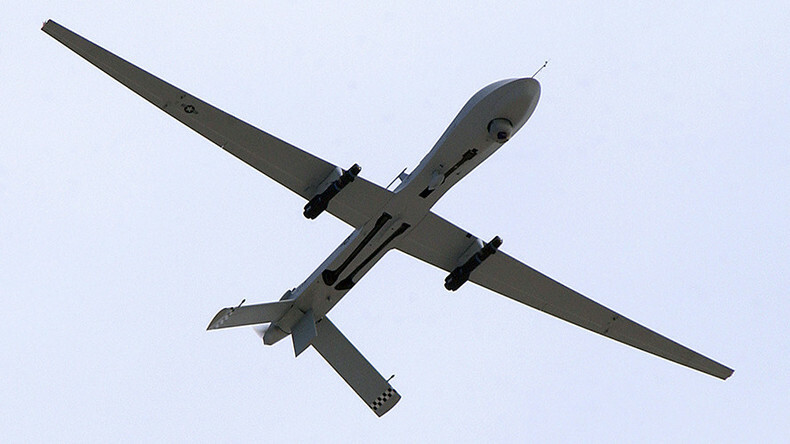 Statistics on drone strikes in Pakistan vary drastically from one source to another. Official US military figures as of February 2016 claim 3,058 casualties over 12 years – 286 of them civilians and 274 “others.” The Bureau of Investigative Journalism estimates from 2,497 to 3,999 killed by UAVs over the same period – 423 to 965 of them civilians, including around 200 children.